Photos by Chad Ryan | The Journal Gazette Izzy Sherman pours a 2XIPA from Southern Tier Brewing during the Rock n’ Brew fest Saturday at Parkview Field. 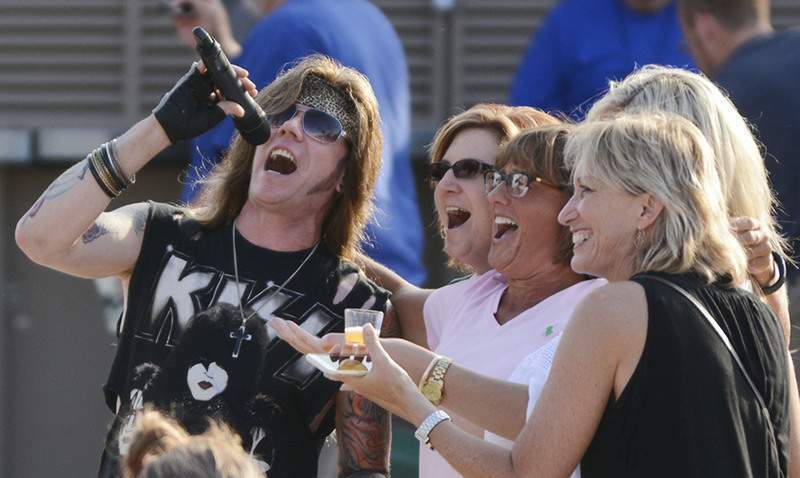 Drew Wireman, lead singer of the band Cougar Hunter, sings the Journey song “Don’t Stop Believin’” with women from the crowd at Parkview Field. "People are experimenting" with beer, said Luke Romine, who works with Cavalier Distributors out of Indianapolis. "It’s crazy. There are so many out there, you could never taste them all." Romine was pouring samples of beers and ales from brewers in Colorado and Baltimore. "Everybody and his brother is brewing beer," he said. The small brewers and craft beer makers "are making a total comeback." A few feet away, people were offering samples of beers from Brooklyn and Scotland and one that was definitely not a craft beer. It came from a German brewery named Weihenstephaner, which was started in 1040. One clump of samples included a European beer that was half beer and half fruit juice. Not everyone cared for it. One sampler grimaced when he tasted it and poured his sample out under a tree. Cory Bice, a sales rep with another distributor, said the brewing business is getting to be like a revolution. Many brewers like to look at themselves as the little guy battling the huge brewers that are mostly European-owned now. 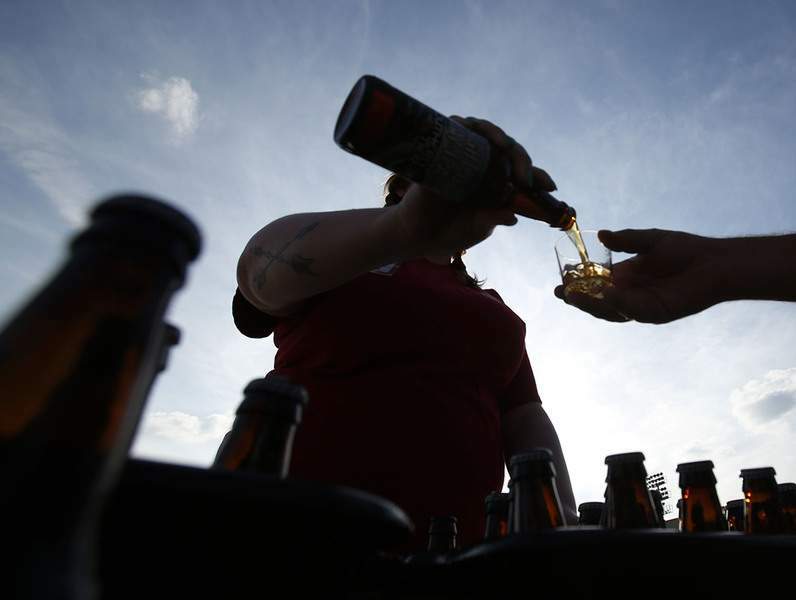 There are more breweries now than there were before Prohibition, Bice said. The nice part about the craft brewers, who mostly rely on word of mouth for their names to spread, is that they are 100 percent American, so all the money they make stays in the U.S. Meanwhile, people’s willingness to try new brands is prompting some stores to sell six-packs that are made up of six different brands. Taste didn’t seem to be the only thing various brewers were competing for. Many seemed to also be competing for the weirdest name or the wildest label. One man, who identified himself as a representative of 3 Floyds, a brewery in Munster, said the brewery has been rated the No. 1 brewery in the world, so it doesn’t have trouble getting its name out like some small craft beer brands. "This gives us a chance to come face to face with the people who put us there," he said. Andy Parker of Five Star Distributing said the company started last year handling 35 to 40 different beers. After only a year, it has now expanded to 140 types of beer, an example of how the brewing business is growing. For all the beer that was flowing Saturday night, though, the chances of imbibing too much were slim. The nearly 800 people who showed up for the event had to stand in some long lines to get samples in their little 3-ounce cups.